We’ve combed the nooks, crannies and kitchens of the Blue Mountains, from Katoomba to Blackheath and Leura to Blaxland, to find the best “Mountain Cuisine” restaurants and cafes. There are many good reasons to spend a few days in the Blue Mountains. Fresh air, the spectacular scenery, the walks… all of which are cunningly designed to sharpen the appetite and a work up a giant thirst. Fortunately there’s a solution. For the Mountains have inspired a raft of top-notch restaurants and cafes to make your visit more memorable than just taking selfies with the Three Sisters, or flirting with the Devil’s Railway (as we used to call it). Today’s ‘Mountain Cuisine’ reflects the new excellence of modern Australian culinary standards using sustainably sourced ingredients matched with nearby wine-producing areas in the Central West of NSW. It’s an unbeatable combination reminiscent of provincial European dining experiences. To help with your quest for great regional food and wine, we’ve put together a few suggestions for some outstanding eateries between Blaxland and Blackheath (NB: in alphabetical order). Enjoy. Rachel and Grant’s love of food preparation shines through their superbly crafted cuisine, influenced by Grant’s experience of cooking in the Greek Islands and Lake Como, Italy. There’s a ‘chef’s table’ full degustation menu at Restaurant Como as well as a lighter version which may be augmented with matching wines. Don’t think of leaving in a hurry. For many, Darleys is the undisputed queen of the mountains. Highly awarded for its impeccable cuisine and its beautiful garden setting in a heritage-listed house, part of Lilianfels, its fine dining menu includes seared duck breast with sliced abalone and a toothfish bouillabaisse. Sample the poached prunes with dark chocolate fudge. Not for the faint hearted. As the name implies, this is a different kettle of soup altogether. Informal, fun and a bit irreverent, Leura Garage draws on the experience of executive chef Regan Porteous whose time with Gordon Ramsay, Zuma Hong Kong and Zuma Dubai brings international style to the mountains. The menu is designed to encourage sharing but in many cases, you won’t want to! The theme at Palette is ‘slow food’ and once again that word ‘sustainability’ crops up, along with kitchen gardens providing fresh herbs. The quail ragout with potato gnocchi, and a grilled pumpkin and black bean curry will get your taste buds working overtime. What most people don’t know is that the famous (and well-frequented) Palette Dining has a really cool little brother living upstairs: Palette Diner. With a menu, and décor, reminiscent of an American diner, Palette Diner is the perfect place to go for a casual dinner and a cocktail. With burgers, ribs, onion rings and man n’ cheese on the menu, you are guaranteed a great time. They also have a great range of local ciders, beer and wine as well as extensive vegan options. 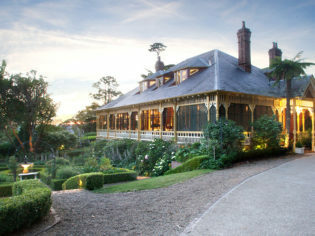 The menu here is described as ‘modern Australian with a French influence’ and over the years has won many accolades for its stylish presentation of such favourites as fillet of Tasmanian smoked salmon, Trunkey Creek pork tenderloin and, to top it off, a pear and rhubarb almond crumble. Silk’s will have you salivating. Family-run restaurant and cafe, Solitary, is a labour of love for the Molloys, who purchased this heritage-listed property in 2011. 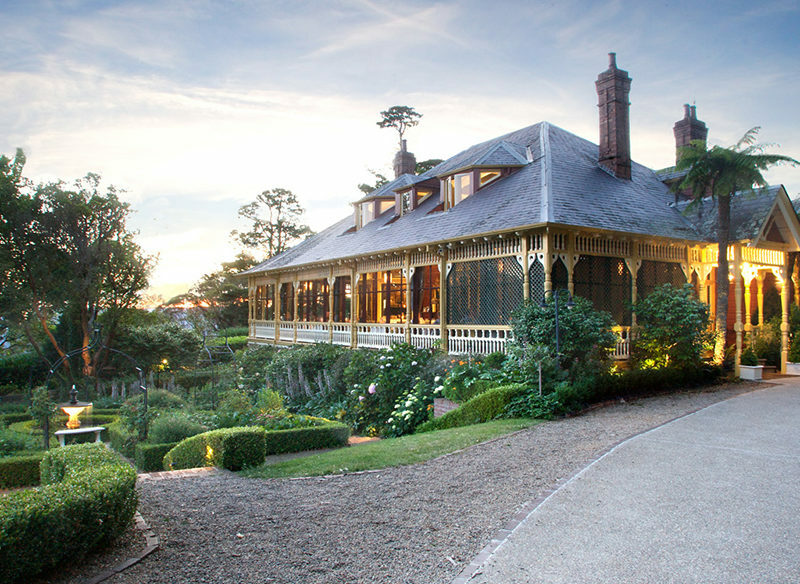 The restaurant is uniquely located on the cliff drive between Leura and Katoomba, with an air of romance as guests admire the Jamison Valley while enjoying an extensive menu. Cured duck breast with celeriac, caramelised witlof, Jannei goat curd and beetroot is just one selection from chef Sebastian’s inventive creations. The spectacular views over the Megalong Valley from the reborn Hydro are the setting for excellent cuisine at the Wintergarden Restaurant. Chef Mate Herceg has composed a creative dinner menu featuring entrées such as Yuzu-marinated wild Canadian scallops and mains like a delicious herb crusted monkfish with spanner crab and mussel ravioli. Not to be missed is the famous afternoon High Tea, after which you may not need dinner! Situated on a rural property in bustling Katoomba, La Petit Chalet is an oasis of organic, home grown produce and authentic Swiss/French food. Opening their doors only once a month, this is an exclusive and immersive dining experience that must be booked in advance. Expect cheese fondue for entrée, Swiss rostis (12 different ways!) for main and a crème brulee dessert. The newest addition to the Lilianfels group, is this boutique style teahouse with an extraordinary array of Asian cuisine, from seafood laksa and red duck curry to rice paper rolls and steamed pork buns. Miss Lilians Teahouse, decorated with bird cages hanging from the ceiling, is already renowned for their array of gourmet desserts that are not to be missed. Open only for breakfast and lunch, the Red Door café is known for divine food and great coffee. Serving Spanish omelette with olive tapenade for breakfast, and Tuscan sausages for lunch, there is something gourmet for everyone at The Red Door. If you’re looking for something a little lighter, have a look at the desserts menu. With everything made in the kitchen out the back, you cannot look past the chocolate hazelnut slice, served with blackberry compote or the muffin of the day.